Jurassic World Style a great dinosaur educational toys! Set of dinosaur action collectible figures of best known prehistoric dinosaurs among the children: Tyrannosaurus Rex, Spinosaurus, Triceratops, Dilophosaurus, Velociraptor and Pteranodon. 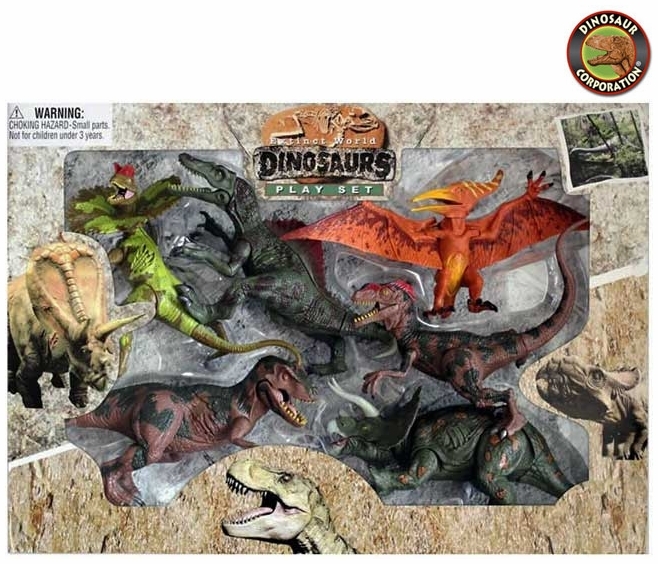 This dinosaur play toy & activity set is an educational gift for kids loving dinosaurs. It greatly stimulates children's imagination. It is a perfect gift for holidays, Christmas and birthday celebrations.